Eyewear can be functional as well as fashionable. Although clothing is our primary focus, glasses are clearly a fashion accessory. Therefore, it is important for fashionistas and the apparel industry to pay attention to new technologies relevant to wearable technology such as new eyewear opportunities. NGRAIN announced the availability of NGRAIN Viewer for Android, a new app for Android tablets and smart glass devices, enabling the deployment of industrial 3D content created with NGRAIN Producer Pro. NGRAIN Viewer for Android offers organizations working with heavy equipment, assemblies, and other industrial assets in the field, the opportunity to easily explore possible use cases for smart glasses and 3D content without the need to invest in the development of a mobile 3D app. NGRAIN is further making Viewer for Android open source, offering R&D teams and developers an excellent starting point to customize and create their own industrial applications. With NGRAIN Viewer for Android, NGRAIN provides the source code to bootstrap a 3D app for Android, load 3D content, view animations, play step-by-step tasks, and interact with content from NGRAIN Producer Pro. Developers can then quickly develop a customized 3D industrial app for Android by modifying and extending the NGRAIN source code. Using NGRAIN Producer Pro, organizations can rapidly create 3D content for these custom apps without the need for expertise in 3D graphics, custom scripting, or further programming. 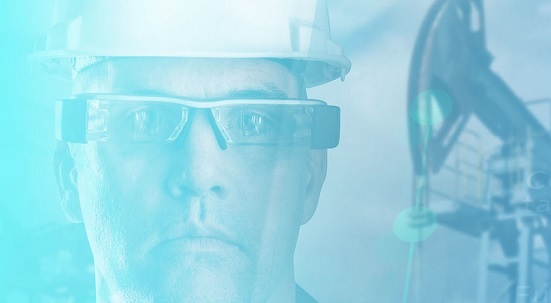 “Smart glasses are creating opportunities for businesses to connect their employees in the field with access to the right information at the right time, and NGRAIN Viewer for Android, coupled with NGRAIN Producer Pro, is providing the best way for these organizations to experience this potential first-hand, enabling the creation and deployment of 3D industrial apps at a fraction of the cost and time of an outsourced, custom solution,” said Barry Po, Senior Director, Product and Business Development of NGRAIN. Launching its first-generation smart glasses in 2011, Epson recently announced the Moverio BT-300, the world’s lightest binocular, transparent smart glasses with an OLED display. Combining breakthrough silicon-based OLED digital display technology, the Intel Atom processor, and Android OS 5.1, the Moverio BT-300 enables a truly transparent mobile AR experiences for organizations. The Epson Moverio BT-300 will be available in late 2016 and may be pre-ordered at Epson.com/Moverio. For a complete product overview of the Moverio BT-300, please visit the following link. NGRAIN Viewer for Android supports any Android device with a minimum API Level 15 (Android 4.0.3). Tools are available to convert existing 3D assets with virtually every major 3D CAD/DCC format including Inventor, CATIA, Parasolid, Pro/E, Rhino, SolidWorks, STEP, DXF, OBJ, DWH, STL, and more, for use with NGRAIN Producer Pro and the NGRAIN Viewer for Android. The NGRAIN Viewer for Android is free for download via the NGRAIN Web site. For more information on NGRAIN and its products, please visit www.ngrain.com. NGRAIN is the developer of innovative, interactive 3D applications that support industrial activities such as inspection, maintenance, and training. Leading organizations from aerospace, defense, energy, manufacturing, and healthcare in 27 countries around the world use NGRAIN’s patented technology today, transforming the way they work in the field. Thank you for taking the time to read our wearable technology blog post. Eyewear can be functional as well as fashionable. We hope that you have found this news to be informative. If you have comments or questions, please add your thoughts in the discussion area below.